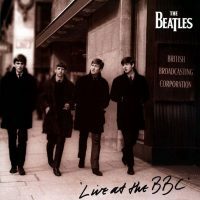 The Beatles recorded the theme tune to the 1959 film Luna De Meil (Honeymoon) for the BBC radio show Pop Go The Beatles. The song was written by Greek composer Mikis Theodorakis, perhaps best known for his 1964 score for Zorba The Greek. The English-language lyrics were by William Sansom. Luna de Miel – known as Honeymoon in many English-speaking countries – was based in part on the ballet El Amor Brujo by Gregorio Martí­nez Sierra. It was made in 1959 by British director-writer Michael Powell, and repeatedly featured the title theme song. The Honeymoon Song was popularised by Marino Marini and his Quartet. The song appealed to Paul McCartney, who was a big fan of kitsch cinematic showtunes – he also sang A Taste Of Honey and Till There Was You, establishing a reputation as a wholesome balladeer in the process. The Honeymoon Song was Marino Marini, an Italian and his backing group. They used to appear on telly and the greatest thing about them was they had a volume pedal! The Honeymoon Song wasn't a big hit but I liked it, thought it was a nice tune. I was the force behind that, the others thought it was a real soppy idea, which I can see now! The Beatles recorded The Honeymoon song just once, for the eighth edition of the Pop Go The Beatles radio show. It was taped on 16 July 1963 at the BBC Paris Studio, London, and first broadcast on 6 August. In 1969 Paul McCartney produced Mary Hopkin's recording of The Honeymoon Song, which appeared on her début album, Postcard – the fifth long player released in the UK by The Beatles' Apple Records. Who ever knew that we two could be free as we'd fancy? But are we who are bound to each other by love? Possibly Paul’s most obscure addition to the group’s stage show. John’s would probably be “I Just Don’t Understand” & George’s would be “The Sheik Of Araby”. Would you believe I actually found an original 45 of this (on Capitol)? ?